The drivers are unhappy after the management of these two cab aggregators "discontinued" the peak time incentive given to them since last 4-months. 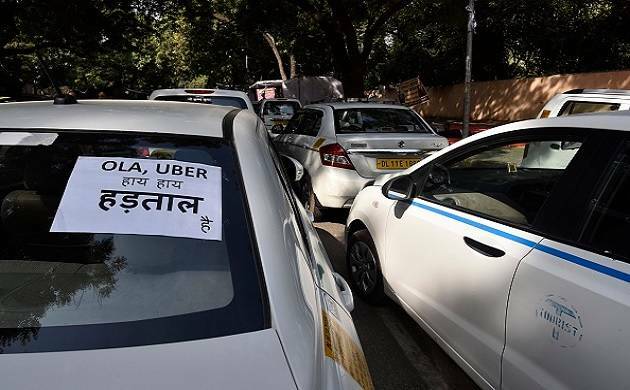 Services of app-based cab aggregators Ola and Uber were partially affected on Tuesday after their drivers staged a sit-in at Azad Maidan for the second time in four days demanding restoration of incentives. The drivers of Ola and Uber are members of the Sangharsh Tourist Chalak Malak Sangh, which is spearheading the fight for their rights. Earlier, we were given Rs 330 per hour during peak hours, but since last 4 months, owners have discontinued it which is proving costly for us to operate the taxis, said one of the driver. "We will be raising our grievances before the state government. We will point out how injustice was being done to us," said Raju Patil, senior leader of the Sangh. The agitating drivers later donated money for the bail amount of five drivers who were arrested during Friday's protest.